Jan Wass has been studying historic quilts for over thirty years and has been making quilts for almost as long. 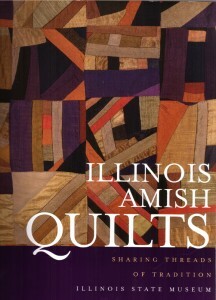 Recently she has found inspiration from the collection of Illinois Amish quilts at the Illinois State Museum. Jan has written the book, Illinois Amish Quilts: Sharing Threads of Tradition and lectures and offers workshops and consulting on the subject. She is also developing a series of patterns and kits that evoke the spirit of simple living practiced by the Amish.